One of the challenges I face is that I would like to start producing electronics in volumes, but assembling at an factory is expensive. It easily add 50-100.- USD to unit cost at low volumes and I don’t have the financial backing to go high volumes. One alternative is to use an Asian factory, rather than the expensive Norwegian ones. They differ a lot on low volumes. The other alternative is to invest in equipment for low volumes yourself. 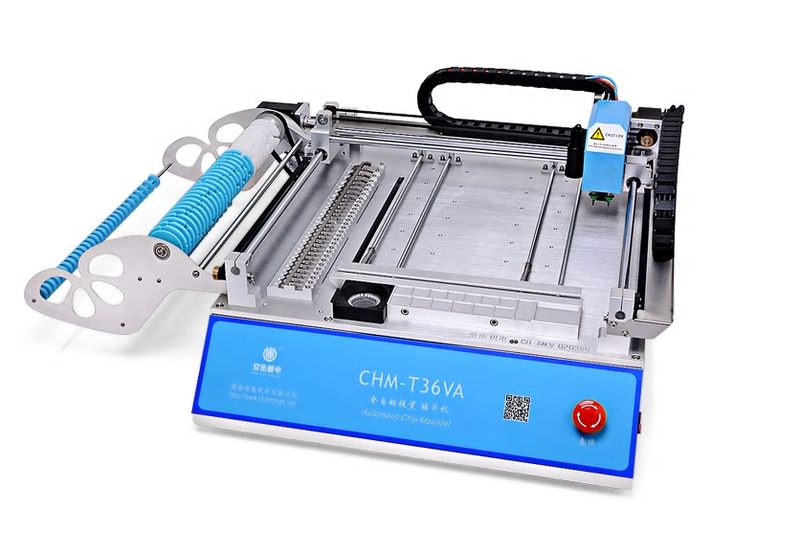 Acceptable Pick & Place machines and Stencil Printer solutions exist from ca 4000.- USD. It is specially 2 machines that caught my attention: CHMT36VA and TVM802A. These are close to identical in functionality and price. The pictures above is CHM-T36VA and CHM-T48VB. The difference is that the later have PC embedded (Linux) and 2 x as many feeders (58) and cost ca 5000.- USD compared to 3200.- for the smaller one. CHM-T36VA need an external PC. CHM-T48VB really is a good deal. 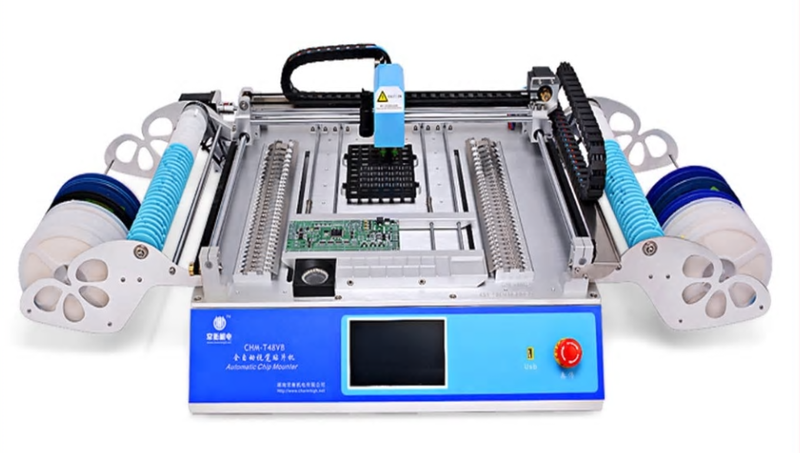 The key with these machines are that they have cameras capable to calibrate components giving them a much better accuracy that previous low end solutions. Their limit is that they only have 2 heads and 27-29 component feeders. So for more advanced electronics you will need to swap reels and nozle’s etc. They are also decently noisy and somewhat slow, but they will do the trick. My reality is that I spend a huge amount of hours soldering proto-types and these machines can do that much faster and more reliable where I only solder on hole through and special components myself. And once the machine is set up I can easily produce a decent number of boards close to automatically. More important is that it will enable me to work with BGA style components. Another cost is components. I basically need to invest in a decent stock of reels, meaning I will need a much larger stock of components. IC’s are different as the machines can pick them from trays and you can buy lower volumes. But, it is doable. The design of a low cost Pick & Place machines consist of several main components you need to evaluate. The CNC frame with various axis and tools. This needs to be low noise as well as very accurate. The size/speed also decide prod volume. The feeders enabling the machinery to pick up components. You want as many of these as possible and a combination of Reel, Tray and Tube-feeders. Calibration cameras. Early machines did not have these and did decently well, but with camera’s you get automatic calibration on Components and avoid errors that was common in early machines. Placement heads. The smaller machines have 2 heads, but you really could need more as different nozzles are needed for different components. Control system on these are a combination of sensors, stepper motor drivers, camera inputs and usually a PC level computer to add Logic. The challenge is that increasing number of feeders and heads also increase investment cost. I think 3.200,- USD is as far as I am able to go for now and I really like CHM-T36VA + I have plenty of PC’s and screens around.